Joe Seddon wouldn't describe himself as underprivileged. However, when you arrive for your first day at Oxford, having grown up on the outskirts of Leeds in a single-parent family, you will stand out. Not only did his Yorkshire accent make him an anomaly, his area is one of the worst in the country for getting students into Oxford and Cambridge. Joe was top of the class at school and one teacher pushed him to become the first in his family to get an Oxbridge place. But at Oxford, he was surrounded by privileged students for whom getting in wasn't a huge achievement – it was almost just expected of them. He attended Mansfield College, another outlier where 88 per cent of students are from state schools, yet Joe still suffered from imposter syndrome. He found himself questioning why he was one of the very few with a northern accent and why no-one else seemed to acknowledge the privilege of being there. 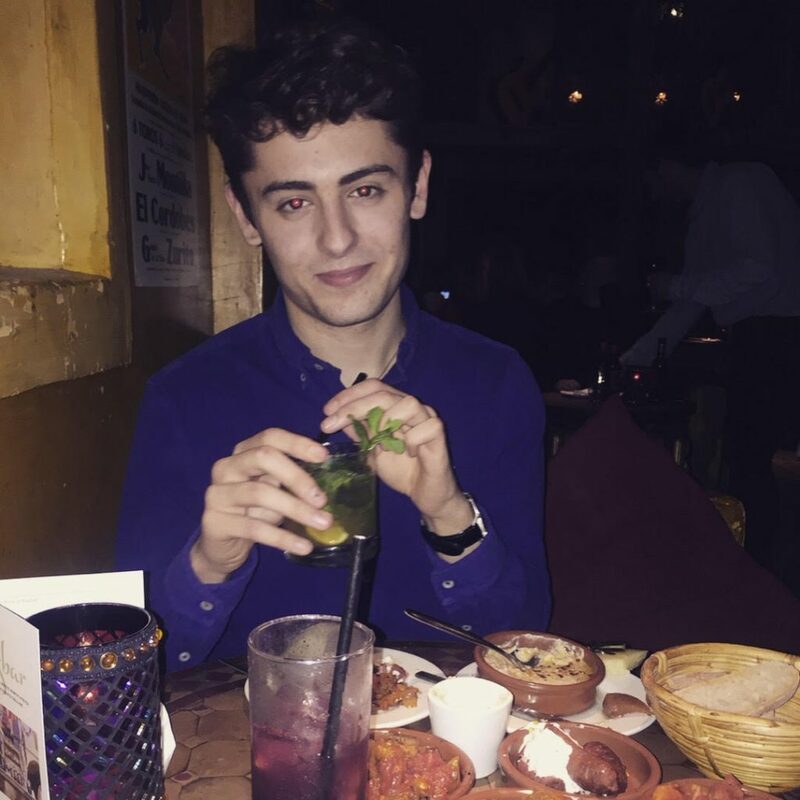 In second year, when sudden changes to his bursary payments meant he needed to find another way to support himself, Joe started online tutoring, earning £50 an hour helping international students get into Oxbridge. It was good money, but he soon came to realise why the tutoring was so well paid. It works. He says he thought to himself: "Why not spread this to disadvantaged students?" Instead of heading to the City like lots of his friends, this summer he launched a site called Access Oxbridge, which matches Oxbridge student volunteers with students from underprivileged backgrounds who want extra help with their application or interview prep. The site matches tutors to tutees with a similar background and uses a government-created algorithm to prioritise which students to help, based on educational achievement in their postcode. All students from non-fee paying schools and low socio-economic backgrounds or areas with low university take-up automatically qualify. Applicants who qualify will be given live video tutorials, which include advice on personal statements, admissions test guidance and Oxbridge-style mock interviews. Volunteers can sign up via the site and have to commit just one hour per week to the organisation. As part of The Tab's 10x Campaign on fairness in uni admissions (named after how much more likely privileged students are to progress to a top uni), we sat down with Joe to hear about what happens now. 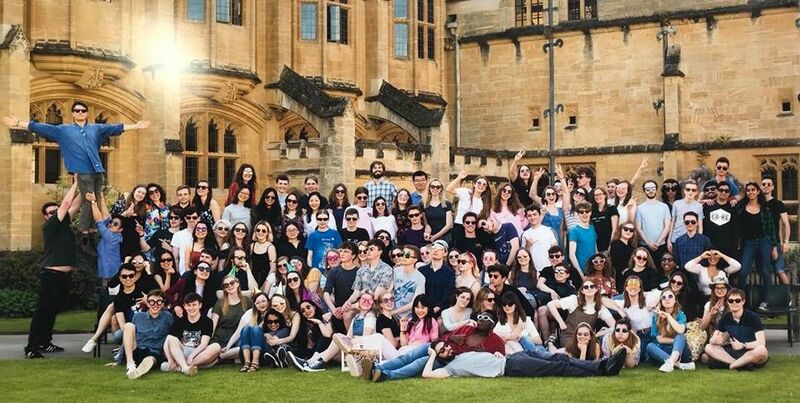 The idea of the organisation is to connect disadvantaged students directly with Oxbridge mentors. There have been lots of access schemes in the past which have thought to do this but they do it through very indirect and inefficient methods. It's been calculated that Oxbridge spends over £100,000 recruiting each low income student they admit and that's because they use all sorts of inefficient ways to do it, whereas we do it in a much more efficient way – using the online technology which everyone's using now in order to connect people directly over the internet. So, Access Oxbridge really is just a platform to do that. It's a very simple idea but it's having a very powerful impact. Is it fair to say that at the moment middle class kids game the system in terms of UCAS and getting into Oxbridge? Yeah, that's exactly how it works. Middle class kids and the people at the top – they know how the system works, they know the unofficial rules of the game and that's a big problem because disadvantaged students don't know the rules of the game. They don't have the contacts or the people who've been to Oxbridge who can tell them how it really works. One of the things that really frustrates me is that on the university website when they talk about how the application system works, they give you really vacuous information. They say you've got to take this exam, you've got to do this. They don't tell you how it really works. They don't tell you what you've got to put in your personal statement in order to get in, what marks you've got to get, how that's weighted. They don't tell you how you should present yourself in an interview. So obviously that's a huge advantage that middle class parents and their kids, who are turned on to these things, have. This is all about expanding that knowledge to disadvantaged students because at the end of the day I don't want to be a revolutionary who calls for the system to be brought down because that's not what I think is the best thing and that's not going to work for disadvantaged students. There's no point being an NUS representative saying the system's unfair, we should bring it crashing down – that isn't gonna solve any problems for disadvantaged students. They need solutions now and that's why what I'm doing is helping disadvantage students game the system as well so its all about levelling the playing field. How are you going to find the kids to connect to the mentors? What's the plan there? One thing I am starting to do is start doing some access school tours. So I can actually go into some of the schools in our local area which got very low university participation and speak directly to students. But that's mainly about not only speaking to those students but creating a wider movement because what we ideally want is to do it through social media as much as possible. That's where young people are nowadays and that's the easiest way to reach them. I think the problem with the university is that they haven't really understood that. They don't have people working on access who understand how social media works. So that's why it's left to younger people themselves to take the lead. There was this one teacher who helped you get your Oxbridge place, without him do you think you'd have ever considered it an option? Not really, I only started thinking about it after my GCSEs. In lots of these schools it just isn't on the radar for most people. I think the thing that made this a bit more vivid for me is that when I stepped foot in Oxford for the first time it was just a completely overwhelming environment. Like the architecture, the city – it's completely different from the sort of places that a lot of the students who go to the state schools grow up. It's almost like a different world and people don't see it as real, as something that they could achieve and strive for. This is a completely different story for people who maybe have been privately educated or come from areas where there are lots of people who've gone to Oxbridge. For those people they see Oxbridge as a logical next step rather than something that's another world. It just shows how deep the aspiration and resource gap is in this country. What was the inspiration for you to set up Access Oxbridge? I'd seen the way the university and the Students' Union were trying to handle these issues and it filled me with a sense of disappointment. They were almost sitting on their hands. So, for example, the university largely engaged in PR to make themselves look better but were actually doing very little creative thinking about how to solve the problem. This is whilst the Students' Union are railing from the sidelines and shouting and engaging in righteous condemnation but they don't seem to do anything either. I just thought there are so many intelligent, talented people here, why is nobody thinking of creative ways how to solve this problem. We're literally a city filled with really creative thinkers and that's why I decided to do something that's completely different. It's completely online and it's a start-up that's completely different from these big faceless institutions engaging in access programmes. Why do you think no one is thinking of creative ways to solve the problem? Do you think that's a mark of the privilege in terms of people not realising these issues or not being willing to tackle them? Yeah exactly, there's lots of people there who are just willing to diagnose the problem but very few people who are willing to get their hands dirty. Maybe that is a product of the way they've lived their lives. There's lots of Oxford tutors, for example, who care about this problem a lot but they're not willing to think creatively about how to solve the problem and maybe that is a symptom of the sort of life experiences they've had. That's why I took it as my role to change things but I was somebody who was sort of willing to get my hands dirty and do this. I've turned down a lot of job offers to go into the City as a lot of Oxford students do because I want to do something that is making a difference and this is what it was. You turned down job offers Magic Circle law firms and investment banks right? Was that an easy decision to make? In some ways it's a difficult decision to make because the City, the Magic Circle law firms, and the investment banks act like a sort of vacuum cleaner sucking all the students out of Oxford, so lots of my friends were going in that direction. So it was difficult going against that and actually saying: "No, I want to do something for myself. I want to take a risk." I'm really glad I made the decision to do that and make a real difference rather than being a small cog in a big industrial machine. Talk to me more about the launch of the site, how did that go? It was almost launched by accident, I shared it on social media and it's grown organically from there. Loads of people started sharing the post and commenting on it, and we've managed to sign up 100 mentors in the first 24 hours and have more trickling in all the time. It's been purely organic growth really. That just shows that people are really passionate about this. So talk to me more about the mentors, who are the people that have signed up to do this? The mentors tend to be current students or students who have just graduated. I think that's important because Oxford has changed quite a lot in the past 20 years so you want people on the ground to have the experience of what it's like now. The way mentors are matched to students is using a special algorithm to match people based on their backgrounds. The reason we do that is to sort of give mentees the best role models they can have because it's always best to have someone you can relate to, to have a sort of shared life experience. That's really important and that's why the more mentors we have the better matches we can make with the algorithm. And that's why it was so great to see so many people signing up. Already over 20 students have been matched with mentors who are all starting to engage in tutorials with them. What is the end goal of Access Oxbridge? Is there something specific you want to achieve that you've set your sights on? If I was going to give you one statistic that I really want to change its the one about Oxbridge regularly admitting twice as many students from Eton as students eligible for free school meals. I’d like to see Oxbridge admitting more students eligible for free school meals than students attending the UK’s most exclusive public schools. Sign up to volunteer for Access Oxbridge here.